On June 12 1922 a very special ceremony took place at Windsor Castle, near London. Following the establishment of the Irish Free State the previous December, five Irish regiments, including the Connaught Rangers, the Royal Irish, the Leinsters, the Munsters, and the Dublin Fusiliers, which had served the British army with exceptional valour at times, were disbanded. It was a day of special significance for both the participants and onlookers. The Connaught Rangers, which had been recruiting men from Galway and the west of Ireland since 1793, was the most important source of employment in this area. The army provided opportunities for travel and advancement, giving pride and purpose to ordinary men who, if they didn’t work the land, had little prospects other than emigration. The Rangers fought in Egypt, India, South America, particularly in Portugal and Spain against Napoleon; at the Crimea, South Africa, and suffered great losses during the Great War. In just over a week’s fighting at the Somme (September 1916 ), the Rangers’ 6th lost 23 officers and 407 other ranks. During the German breakthrough at St Emilie on March 21 1918 that same battalion was ‘practically annihilated’ when, following a fierce bombardment, the order to withdraw did not reach them, leaving them exposed to the onslaught of two fresh German divisions. At least 2,500 Rangers were killed between 1914 and 1918. Yet their marching anthem, Its a long way to Tipperary, cheered the hearts of thousands during those dark days. The remains of the Rangers who never returned home can be found in small and large graveyards in France, Belgium, Germany, Greece, Turkey, Bulgaria, Egypt, Palestine, India, Iran, Iraq, Israel, and England. No doubt many Rangers felt a sense of betrayal at the 1916 Rising, which added to the confusion, and their discomfiture when they returned to a ‘different’ Ireland. But it also took courage when in June 1920 about 400 Rangers refused to carry out army duties at Wellington Barracks, Jalandhar, and at a smaller barracks, Solon, about 20 miles away, at the Himalayan foothills. They were protesting against harsh British measures during the War of Independence at home. The army cracked down hard. Sixty-nine were court martialled, seven were acquitted. An incredible 14 were sentenced to be shot. But after some weeks, only one was confirmed. On November 2 1920, private James Daly was executed at Dagshai prison. The others, including John Oliver from Loughrea, received long prison sentences. They were served at Maidstone prison, England. 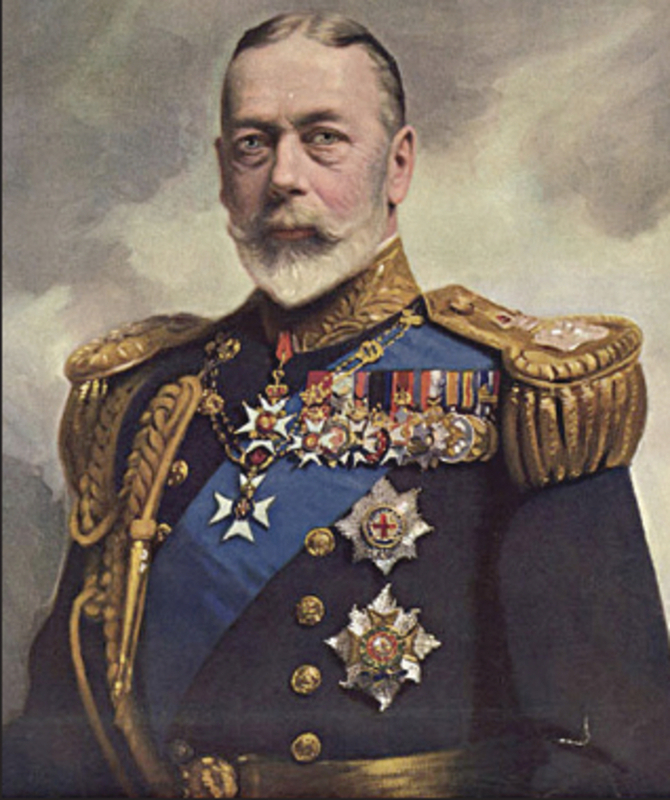 King George V (wearing the service uniform of a Field Marshall ), stood with Queen Mary, and their daughter, the Princess Mary, accompanied by the highest ranking dukes, marshals and lords of the land, on a platform at the end of the hall. The king showed that he appreciated the military mind when he received the regimental colours that day. “We are here today in circumstances which cannot fail to strike a note of sadness in our hearts. No regiment parts with its Colours without feelings of sorrow. A knight, in days gone by, bore on his shield his coat-of-arms tokens of valour and worth. Only in death did he surrender them. Your Colours are the records of valorous deeds in war and of the glorious traditions thereby created. You are called upon to part with them today for reasons beyond your control and resistance. By you and your predecessors these Colours have been reverenced and guarded as a sacred trust, which trust you now confide in me as your King. I am proud to accept this trust, but I fully realise with what grief you relinquish these dearly prized emblems and I pledge my word that within these ancient and historic walls your Colours will be treasured, honoured and protected as hallowed memorials of the glorious deeds of brave and loyal regiments." The so called Indian Mutiny of 1920 had no bearing whatsoever on the disbandment of the Connaught Rangers, but it does illustrate how weird it all must have been for the returning soldiers of the Great War. It was a totally new Ireland. Most of them simply put away their medals, photographs, uniforms, and souvenirs in the attic (to be discovered by a future generation in more generous times ), and got on with their lives as best they could. But not everyone. Some could not adapt. There was no understanding of post traumatic stress disorder. In early January 1923 John Oliver, released from Maidstone prison, returned to Loughrea. He was a broken man, and totally destitute. The Walls took him in. During the intervening years the Wall family had changed too. Cissy, Tom’s sister, had married a Connaught Rangers’ coloursergeant, Jack Fallon, but they still lived in the old Walls’ house on Patrick Street. Cissy turned out to be wonderful. John Oliver would sit by the fire all day, barely talking to the family. Then one day, dressed in his best clothes, he attempted to drown himself in the lake. He was spotted and rescued. But he was determined to end his life. In desperation he made two more grim attempts, but was rescued each time by Cissy. Finally the poor man tore the stitches from his throat, and died. He was 44 years of age. He was forgotten until a few years ago when plans were being made to turn the Church of Ireland church into a library. There were additional plans to demolish a small shed nearby. The caretaker remembered that beneath the shed was where ‘one of the mutiny Connaught Rangers was buried’. It seems that because it was a case of suicide John Oliver could not be buried in consecrated ground. His grave is still unmarked. Lady Butler’s famous Connaught Rangers’ recruitment painting. *An earlier set of Connaught Rangers’ Colours can be seen at the Collegiate Church of St Nicholas, along with several stone memorials to fallen members of the regiment. There is an interesting museum at Dún Ui Maoilíosa (Renmore Barracks ) showing quite a lot about the Rangers’ history. Entrance by appointment. Sources include A Coward If I Return, A hero If I Fall - Stories of Irishmen in World War I, By Neil Richardson, published by The O’Brien Press 2010. Page generated in 0.1185 seconds.